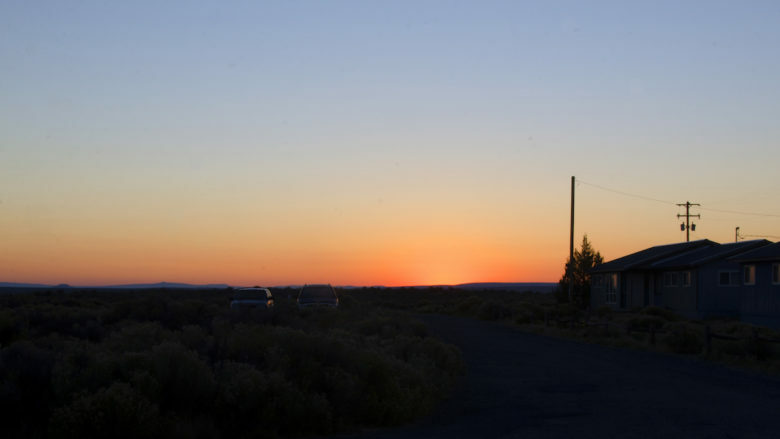 Sunrise at Malheur Field Station. . . The bedroom was as dark as midnight without moonlight but I could see stars in the sky through the windows of the room. Bewildered by what had just happened, I imagined for a moment that perhaps God had just struck me on the head with His staff. “Did You just smite me with Your staff?” I spoke into the darkness. “You deserved the rod but yes, I knocked on your head with My staff,” the Voice replied. “It’s dark, why did You wake me?” I complained aloud. “There is something I want you to see,” replied the Voice. “But it’s too dark to see anything,” I insisted. “Wait for it,” was the reply. In a few moments the stars overhead began to dim and the night sky began to soften with the beginning light of dawn. The edges of the horizon turned a soft peach color while the remainder of the night sky above turned a lovely pale violet. Within minutes the most glorious sunrise occurred, lighting up the desert scenery around me. “You are welcome,” the Voice replied, “and do not waste your time resting in bed. There is much work to be accomplished before the light of day is done. Born to Bike . . .